Preheat oven to 400 degrees F (200 degrees C). 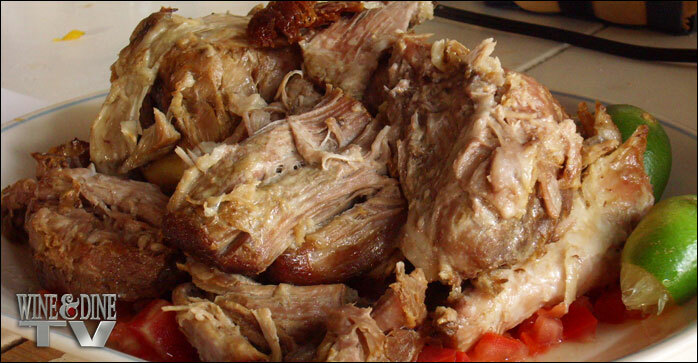 Place pork fat-side up in a roasting pan or deep casserole dish. Combine water and liquid smoke; pour over meat. Sprinkle with salt. Cover and roast in a preheated oven for three hours. Remove from pan and shred.